Jennifer Brooks Blog: NOTW: Do you lilac it? NOTW: Do you lilac it? 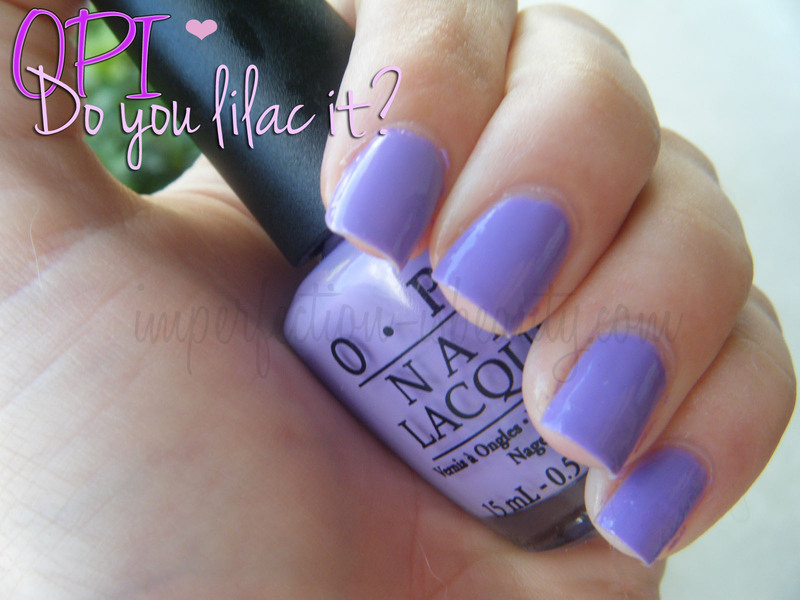 OPI Do you lilac it? is part of OPI's classic collections. Its a gorgeous matte lavender purple probably one of my favorite pastels. This lilac color is the perfect shade of purple, not to dark nor to light. I actually thought it was going to apply a little lighter then it did however, its the perfect feminine purple. Do you lilac it? applies very creamy, and thick which I love considering many shades lately is to streaky. The constancy is ideal and the finish is just fabulous and not like most OPI shades, and I love how easily it is to apply, and spread. This shade was very opaque the first coat although, I always do two just to keep it safe. Its a great shade of purple, and absolutely perfect for the season. This would also be a gorgeous shade to wear in the winter to add a little pop of color to your outfit. I couldn't imagine this shade not looking good on any skintone. I've had this color for a little while now and really didn't give it to much of a chance after reading the reviews it really made me want to pull it out again and give it a second go, and I'm actually loving it. What's your perfect purple shade? Love the shade! Purple is always a great nail color plus it's very feminine! thats the prettiest purple polish i have ever seen... i got to have it! absolutely love it! i have a barry m colour similar to this! I love that color! i rarely ever paint my nails but i would love to use that! Lovely! Just started loving purples and blues! I loveeee this nailpolish! I've never seen a lilac shade quite like it. Thanks for sharing! Hope you have had the chance to check out our Tiffany & Co. necklace giveaway! i used to have thsi color but it got sticky so i had to throw it out :( but i loved it! Love this shade! I have never used OPI before but it looks good. I absolutely love this shade, I have one by Sally Hansen that is very similar to this!